Located in the city center of Geneva, the show is a real place of life, and conviviality. It is a warm and intimate lounge where you can take time for yourself. 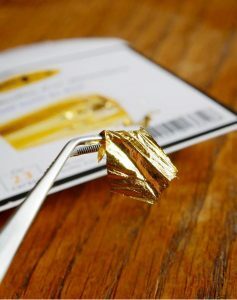 The care offer 24-carat gold and aesthetic benefits, several technical devices use depending on the type of skin. Diamond is the new address for men who care about their skin and who have decided to assume their manhood while taking care of them. A wide selection of treatments can be found in our beauty salon dedicated to men. Each individual is different: his rhythm of life, his personality, his skin. As a result, every care provided in our spaces will take into account these differences, for the promise of beneficial and convincing results in relation to your needs. We will appear to you as the answer to your requests for a special moment of well-being or for a desire to feel good and beautiful in complete freedom. Your Diamond Institute dedicated to men, 100% male, located in the city center of Geneva welcomes you from Monday to Saturday from 10:00 to 21:00. You will find Gentlemen, aesthetic care for men in a warm and relaxed atmosphere. Do not hesitate to contact us to make an appointment in our salon for men, for hair removal, a facial, a massage, a manicure or a pedicure. All the care of the man gathered in one and the same space!